It's all the hottest action OFF the festival grounds. It’s the most wonderful time of the year! The infamous Coachella Valley Music & Arts Festival is set to kick off on Friday in Indio, California, with a full lineup of amazing acts and artists. But any real festival pro knows the best action happens OFF the festival grounds. Here are the best parties you can look forward to this season. It's the most wonderful time of the year! 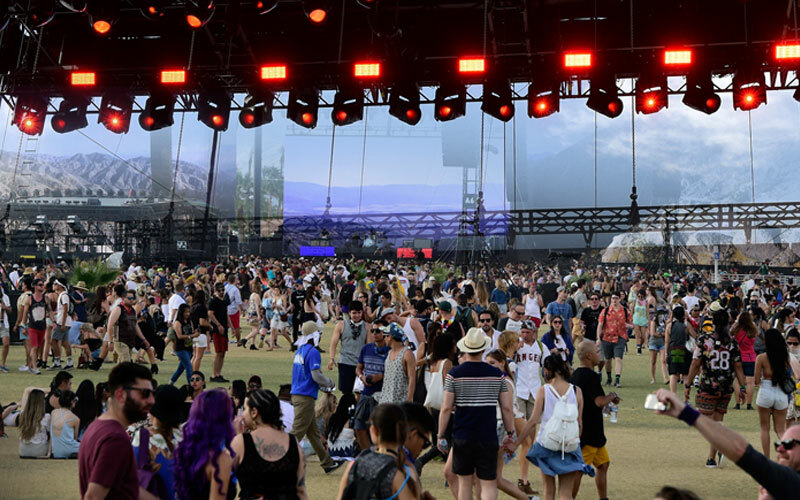 The infamous Coachella Valley Music & Arts Festival is set to kick off on Friday in Indio, California, with a full lineup of amazing acts and artists. But any real festival pro knows the best action happens OFF the festival grounds. Here are the best parties you can look forward to this season. Kicking off the festivities on Weekend One, guests will be able to ‘power up’ with the launch of Chevrolet’s first-ever, all electric Bolt EV, at the Chevrolet & PacSun party at the Bootsy Bellows Estate. An exclusive stop on the festival road-trip, revelers can fuel up on live performances poolside and climb mountainous terrain with the ZR2 Colorado. Lil Yachty and other guest performers will hit the stage. It all goes down on Saturday, from 2 to 6, and it's strictly invite-only. Yass queen! Galore and Grindr host the Queens of the Desert party at The Galore Hotel in Palm Springs on Friday April 14, Weekend One, with special guest Charli XCX. This one is invite only. The fun continues Weekend Two, as The Bootsy Bellows Pool Party presented by McDonald’s returns for its fifth year on Saturday, April 22. Always one of the year’s most sought-after invitations, the party will feature live musical performances throughout the day while guests splash in the pool and enjoy McDonald’s legendary refreshing cold beverages and sample new Signature Crafted Recipes sandwiches, available at McDonald’s nationwide in May. DJ Yung Taco is scheduled to perform, along with a VERY special top-secret guest. Get hype Weekend One as Hypebeast and 1800 Tequila take over the V Hotel in Palm Springs for Hypebeast Hotel. ATRAK and other special guests will join for the festivities in the heart of Palm Springs. The ultra-cool ARRIVE hotel in Palm Springs hosts #REVOLVEhotel, with a festival pop-up shop from April 14 to 16, and non-stop partying with guests including Olivia Culpo, Jasmine Sanders, A$AP Ferg and more. Best of all, it's open to the public! Elsewhere at a private location, REVOLVE will host the invite-only #REVOLVEfestival on April 15 and 16, and the after-hours DESERT NIGHTS party. The iconic Neon Carnival returns for the eighth consecutive year to Thermal, California on April 15. The invite-only outdoors dance fête, widely recognized as one of the most coveted after parties of the year, is the brainchild of famed LA nightlife maven Brent Bolthouse, the creator of The Bungalow. Anyone lucky enough to score an invite can expect new games, amusement park rides and continued involvement from the biggest names in entertainment and lifestyle brand partnerships, including the return of iconic denim inventor, the Levi’s® Brand, back to headline the event. Tequila Don Julio, returning for the third year in a row, will be pouring specialty drinks from the Airstream Speakeasy and providing Don Julio 1942 bottle service for VIP tables, including a special debut of their new Magnum Don Julio 1942 bottle. Entry into the festival after party is granted with more than just a Neon Carnival wristband; guests will also receive a new, one-of-a-kind Lokai bracelet that must be presented for admittance. Batiste Dry Shampoo will host on-site hair styling stations and offer samples to attendees seeking a quick hair refresh. Don’t ride alone! Tinder will pair you with a new match on their bumper car ride. Stop by the Bud Light space to share a beer with friends and cool off before tackling the rest of the carnival. No strangers to the nightlife scene, Hollywood heavy hitter DJ’s including Kayper, DJ Politik, Jesse Marco and DJ Ruckus will keep partygoers dancing with performances that last into the early morning hours.